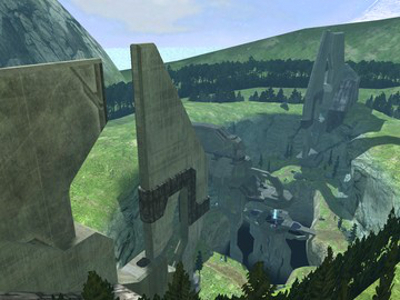 Description: A green valley located on Halo. The structure in this area seems to be part of the gravity control system. Human forces were in this area but they were eliminated by the covenant. This map consist of a valley surrounded by cliff walls, it’s a huge open area where you can see from one side of the map to the other, however, the layout is ideal for both vehicle and/or sniper combat, (you will find plenty of sniper ammo around the map) but be careful, there are many places to hide in this map so you never know if someone is watching you! 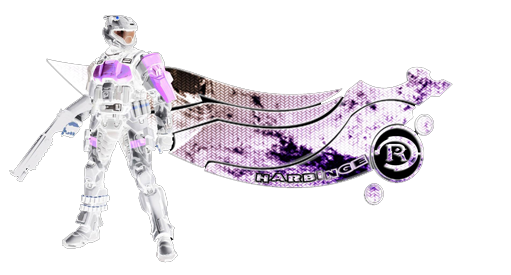 Thank you to all Players who attended Event Horizon Session #44. 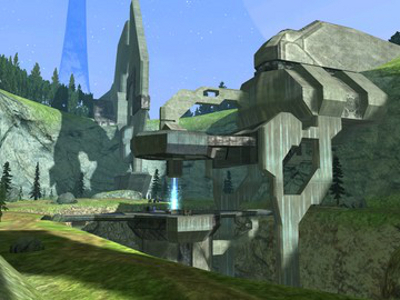 [h3] Core is a Medium Sized Halo 3 Style Map having 2 small Bases, (situated either end of a shallow Canyon) with a massive deep shaft located in the centre that's spanned by a bridge. In addition to Ghosts and Spectre Vehicles there are also Custom Hogs. [h3] Core is suitable for 2 Players upwards, but for good Game Play ideally 6 or more Players. Although the recommended Game Types are CTF and Slayer in fact all Game Types are fully supported. KOTH is very good as so is Juggernaut. Oddball and Race both work but are not recommended, being dependent on Player numbers to succeed. [h3] Core is definitely one of the better H3 Style Maps to play, and the Author has done an excellent job with both the Map and H3 Weapons. The Sniper is very good once you've mastered the Recoil Kick. It's possible to jump down to the lower centre structure Ledges for Sniping, but death is the only way back. Despite having less than 5 Players for the majority of the Event it was a very enjoyable Session, (that lasted 2 Hours) with everyone agreeing it was a great Map. [h3] Core is absolutely acceptable for inclusion in a Map Cycle. and one which I would definitely play again.